Last week, Team Phoenix had a visit to Henshaws Art and Craft Centre. It is always a pleasure to introduce children to the art-makers in the various workshops. Most of the art-makers have some difficulty with their sight and some also have mobility and cognitive difficulties. Many love to chat with the children and love it when we visit. The children loved meeting Simon and admiring his colourful drawings. 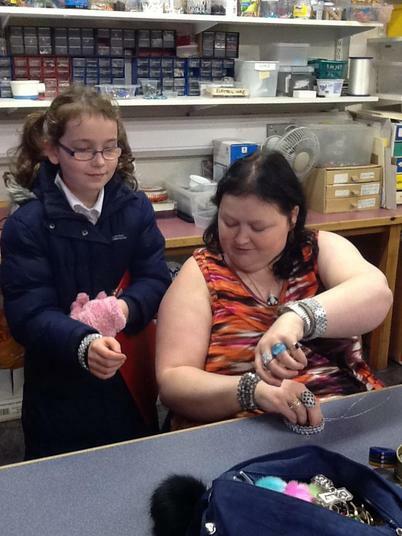 Layla remembers another workshop: "I liked the jewellery workshop and meeting Dolly, who has lots of keyrings." 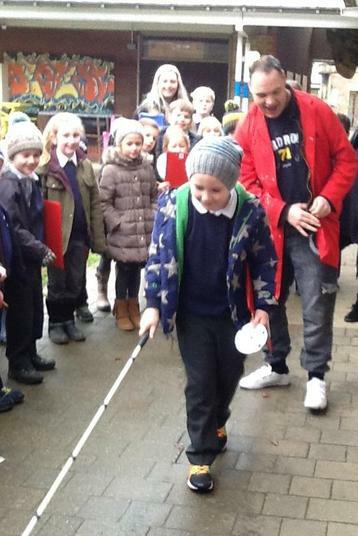 As part of our topic work at school we are thinking about environmental art and reusing materials to make art, so a walk around the Knaresborough centre gave us all an ideal chance to see what wonderful art can be created from junk materials and gather some ideas to bring back to school. We look forward to collecting our individualised bird feeders and pottery plaque which we have commissioned the art-makers to produce for us. The art-makers are so proud of their work - seeing Jenna's face light up, as we chose her own pottery owl to bring back to the classroom, was the highlight of the day for me. The centre is free to visit and there is a super café if you fancy a coffee and a bacon sandwich over half term. 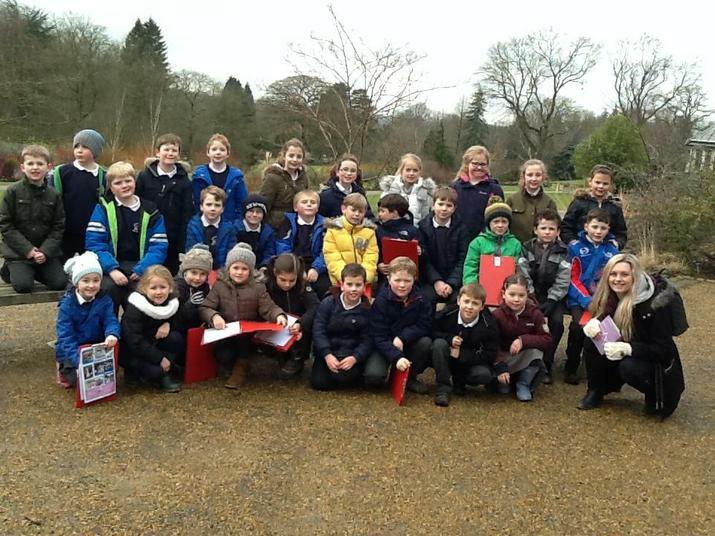 In the afternoon, we had a super trip to Harlow Carr Gardens. Three activities - a sculpture hunt, sketching plants and labelling their parts and an eco-friendly building tour - kept us focused and busy. The children loved exploring the gardens and noticing aspects of the building which were made from recycled materials. There are fantastic examples of environmentally friendly energy sources too.